Hello fellow cocktail lovers. A new mobile app has been released by Sandeman Porto. A mobile mixology app with recipes from top mixologists, flavor pairing tips, port cocktails in history and porto mixology tips from "Cocktail Guru" Jonathan Pogash. 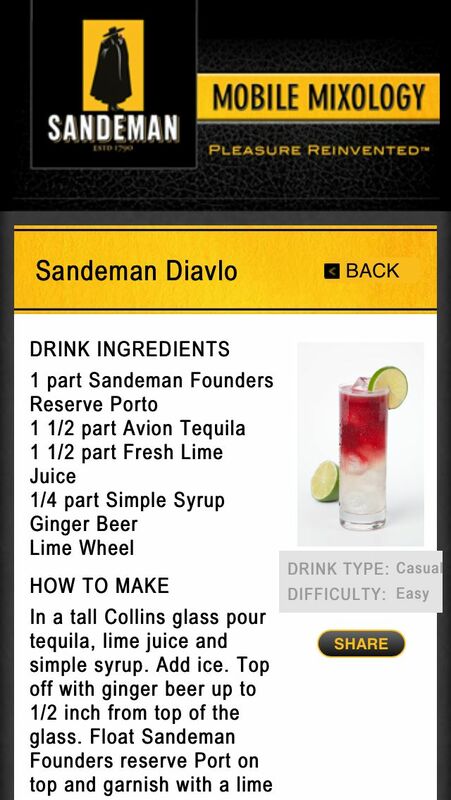 The app is very user friendly, with cocktail recipes that will make an amateur bartender look like an expert (all cocktails are listed by preparation difficulty). Cocktail recipes range from historic classics to innovative new creations, with easily accessible ingredients. Cocktails are even categorized by occasion (brunch, casual, formal, party). 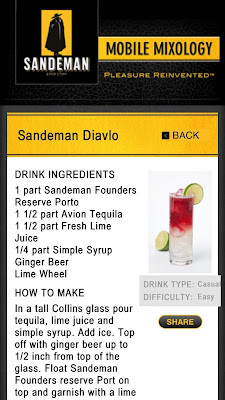 Back when I was a bartender, I spent a pretty penny on cocktail books but the Sandeman Mobile Mixolgy is free (available for iOS and Android). 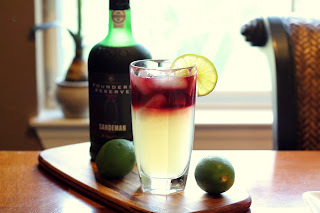 With a bottle of Sandeman Porto on hand, I went out on a limb and made a cocktail I have never made at home. One that I have had at a bar once which I fell in love with.....El Diablo. The Sandeman Diablo is a very refreshing drink. The sweetness of the porto takes some of the bite out of the ginger beer and both fair well with the spiciness of the tequila. The ending result is delicious. In a tall Collins glass pour tequila, lime juice and simple syrup. Add ice. Top off with ginger beer up to 1/2" from top of the glass. 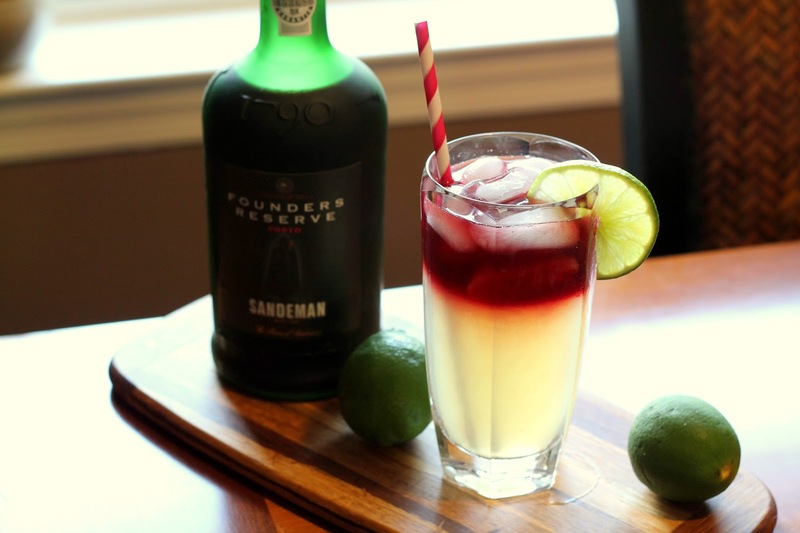 Float Sandeman Founders reserve Port on top and garnish with a lime wheel. Disclosure: I received a bottle of Sandeman Founders Reserve Porto in exchange for this post. As always, all opinions are my own. Yeah...after you told me about this drink I've been thinking about it constantly. It looks so pretty and sounds divine!